Francesco Anile, a great tenor, sang Pagliacci. 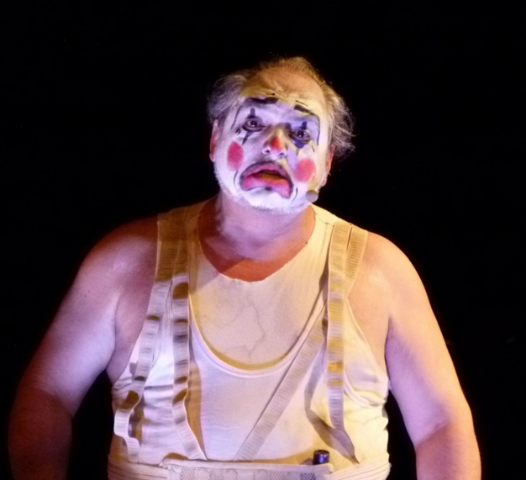 In their first prograam of the current season, NYCO presents Aleko and Leoncavallo's Pagliacci. Serge Rachmaninoff composed his one act opera Aleko when he was eighteen. Michael Bukinik recalled rehearsals at the conservatory: "I was a pupil in the orchestra class and during rehearsals, we not only admired by were made happy and proud by daring harmonies." Rachmanioff won awards and his career was launched. Of course, he is not particularly known for opera composition. He composed only three one acts. Most of his other work was for orchestra and piano. These works are very operatic, bold and lavish in their often over-the-top style. Aleko struggles to be. 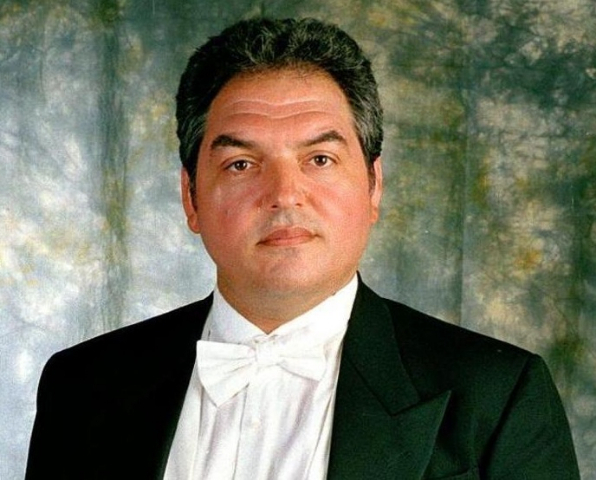 James Meena conducts to bring out the Tchaikovsky qualities in the work, the dramatic and the fiery. The brass is particularly striking in orchestral interludes. Firm I stand—I don’t fearFire or the knife. I shall die for my love. 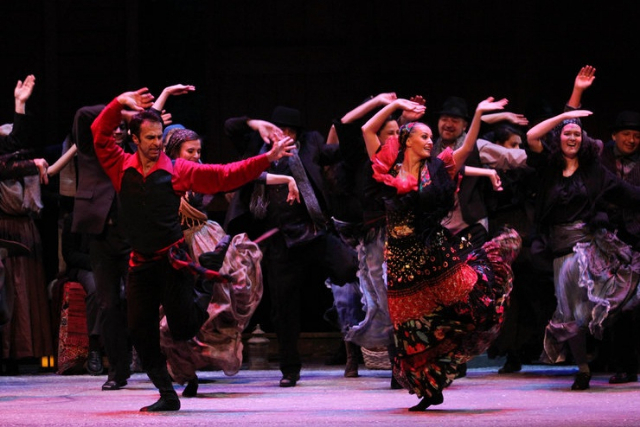 In Carmen, Don Jose is an outsider in the gypsy community. In Rachmaninoff’s take, it is the old husband. When he kills his wife Zamfira and her lover, he is not punished. Instead Zemfira’s father, sung with compassion by Kevin Thompson, tells the old husband that he does not understand the freedom of the gypsies. He wants freedom for himself. Aleko is banned from the gypsy community. 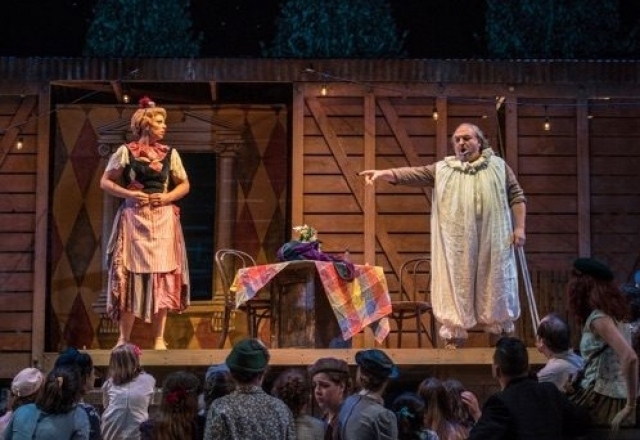 The highlight of this production is a dance by the thrilling Andrei Kisselev, who tore into the passions of the gypsies and the tragic position of Aleko, doomed by age. The Leoncavallo Pagliacci that followed was a lesson in the composition of a one act. Beautiful arias weave in and out of the chorus and the orchestra. Across the boards the singing was delightful; Jessica Rose Cambio, a luscious Nedda, Michael Corvino as Tonio and the seductively shaped phrases of Gustavo Feulien as Silvio. The entire cast was fervent, but the stand out performance, and one for the ages (which is saying a lot considering the competition), was by Francesco Anile as Canio. His name has been shouted in many quarters since he stepped in wearing a t-shirt and jeans to sing Otello at the last moment at the Metropolitan Opera. Anile has a glorious, comfortable large voice which he deploys with sensitivity and skill. NYCO is doing the opera world a great favor by allowing him to display his unusually bright voice in Leoncavallo’s arias like Vesti la giubba, the first part conclusion in which Canio discovers his wife’s infidelity but goes on with the show. Michael Capusso keeps NYCO going on with the show. He has breathed new life into the company, as he also honors the opera’s mission. This season includes Candide, Fallujah and Angels in America, La Campana Sommersala, and Los Elementas, all eagerly awaited.